At this year’s CES 2017, connected devices took up a huge amount of real estate. I walked nearly twenty miles each day through three convention centers, and I still didn’t see it all! More products are being launched as entrepreneurs find specific applications to exploit technology within categories that have already seen success. As always, the best products are the ones that solve a real need, like Willow — the hands-free breast pump that sits inside a woman’s bra and frees her to move around and do other things while she pumps milk. Another favorite of mine was a connected valve for your radiator that enables programmable zone control in a house with hot-water heat — a simple, practical idea for connected home product. Many of last year’s proof of concept presentations have turned into products. Last year, automotive was a big theme. This year its presence was more about what’s shipping in months (autonomous cars) as opposed to years. And many of these products seem less futuristic and more connected, and more immediately useful than what we saw in 2016. 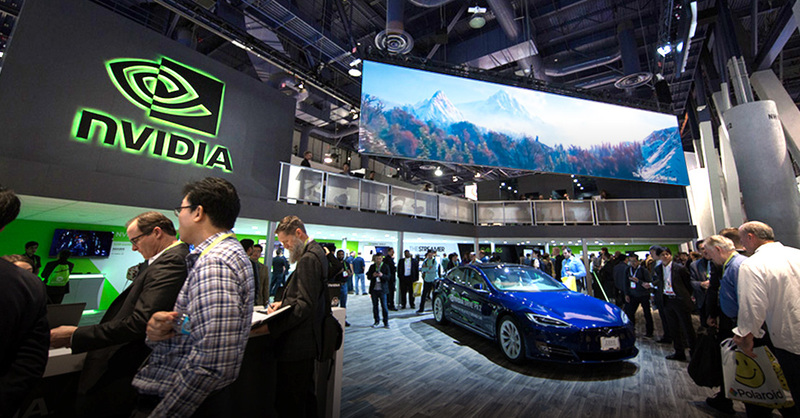 For example: Nvidia, best known for its graphics processing units (GPU) and high performance parallel processors, has jumped into the automotive arena with a virtual reality system that uses ‘deep learning’ artificial intelligence to augment drivers’ awareness of what’s going on around them. This provides a co-pilot that expands situational awareness beyond what the driver might be capable of paying attention to on their own. All of this automotive technology is working toward the transition to the connected car, to assisted driving and enhanced awareness, and ultimately to self-driving vehicles. All of this has the likely consequence of changing how we travel, ultimately reshaping the market for vehicles and how they are made and sold. To that end, major investors in this process include Lyft and Uber. 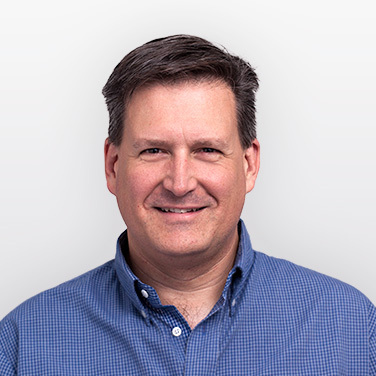 Takeaway: Companies are successfully integrating the new sensors, imagers, and radio technologies of the last couple of years into innovative products. Last year, wearable medical and personal fitness devices were hot, but sales in 2016 just didn’t take off. Pebble’s sales dropped, and it was sold to Fitbit. Fitbit’s sales weren’t stellar either, the Apple watch was not a huge hit, and Google Glass is essentially discontinued. 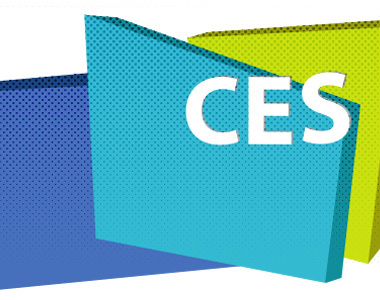 At this year’s CES, nobody was talking significantly about wearables as a product class. They are still growing slowly as a segment, but they are not the hot development they were in the previous year. However, sensors were woven more deeply into the medical consumer space than ever before. Application-specific connected devices for running, walking, jogging, hiking, bicycling, bluetooth-connected helmets; trackers and heart rate monitors that connect to your bike; and sensor-embedded fabrics have all taken off. Last year there were maybe two stalls showing sensor-embedded fabrics. This year there were closer to twenty. Sensors were woven more deeply into the medical consumer space than ever before. There were many personal air purifiers, blood alcohol sensors, and at least two watches that could monitor blood glucose levels. A lot of the medsumer blood/gas sensor technologies have gotten less expensive, and better by leaps and bounds. Heart rate monitors are also advancing, measuring heart rate and oxygen levels – not just with infrared light or conductivity measurements – but by measuring how radio waves interact with the body. This means non-contact biometric measurements that aren’t affected by skin conditions, or other environmental factors – a consequence of less expensive multi-GHz radios, radar, and lots of processing power available in the portable / wearable space. 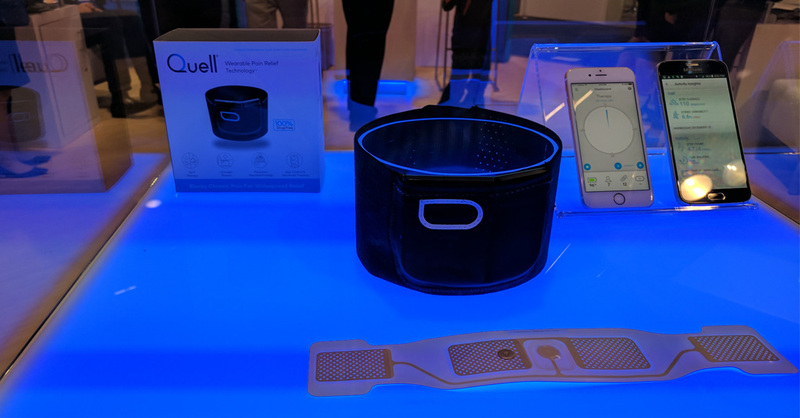 Transcutaneous Electrical Nerve Stimulation (TENS) devices (such as Quell, pictured above) were also big at CES this year. TENS used to only be available at a physician’s office; now dozens of companies are selling them for exercise applications for muscle building. There are a range of TENS devices marketed to improve posture, enhance exercise, and relieve pain for a variety of applications. 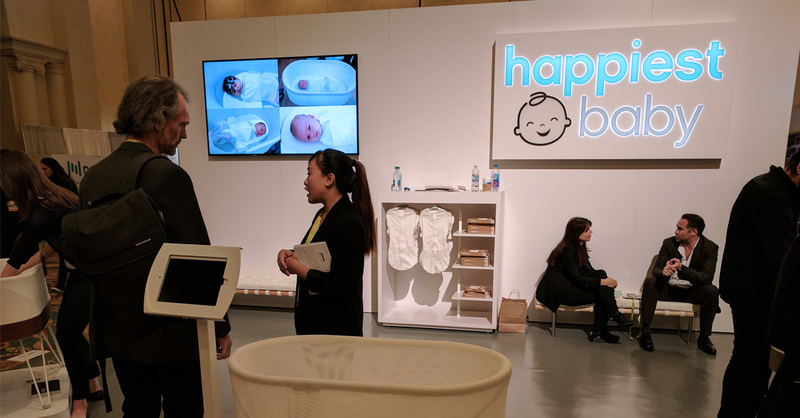 Connected devices to monitor babies and assist families came from out of nowhere to fill an entire room of the conference this year. 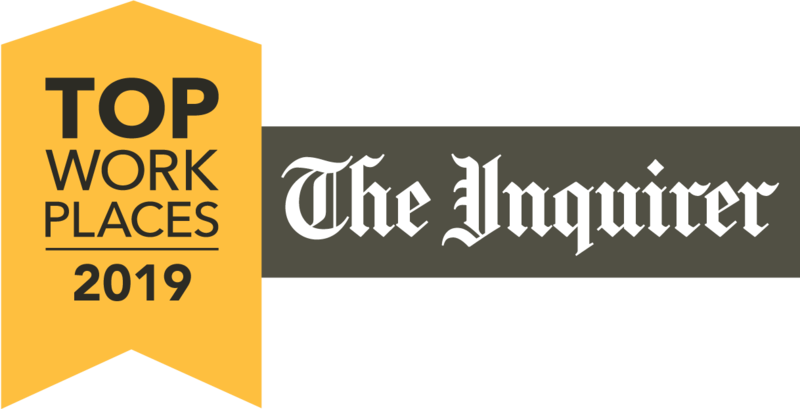 Both startups and established companies were represented. And almost everything had a sticker proudly announcing it can talk to Alexa. There were devices to measure infant blood oxygen levels; connected devices to rock the baby in the crib (like the Happiest Baby SNOO Smart Sleeper, pictured below); and smart baby monitors – all of which coordinated with devices to help the baby sleep. There were also several updated and connected breast pumps, including the portable, wearable, fluid-operated Willow that won an award. There were also devices to help other members of the family, including a water dispenser that purifies and analyzes water quality, smart pillows that adjust themselves to help you sleep – and stop you from snoring – and a smart bed that monitors you so it can adjust itself to help you sleep better. Pets got some love, too, with dozens of applications of remote feeders, remote control video-linked playtime bots, and even a ‘cat pad’ that can ID your cat using its implanted microchip and dispense food and water appropriately. There were also plenty of frivolous gadgets, such as the connected solar umbrella: “It tells you the weather, and charges your phone” – or the ‘toast printer’ that can toast programmable images onto your daily bread. There were a lot of things that didn’t need to be connected but were. That said, on the whole, products were more focused on better applications. Takeaway: If you’re working on an IoT product, make sure there’s a real need, aim for a practical market, and don’t build a me-too product. Cameras took on a life of their own in the family and pet device category. (What would a baby monitor or a pet remote-control play toy be without a camera for you to watch through?) But what was more potentially disruptive was the expansion in capabilities. The rise of virtual reality (VR) and augmented reality (AR) has brought with it dozens of purpose-built cameras for selfies, mapping, drones, outdoor sports — many with 4k 360 degree video. This helps capture the content (VR social networking, anyone?) for the AR/VR headsets (like the Wholox, pictured below) that have also started to take off; last year there were a few VR headsets, now there are dozens and dozens as they have found their footing for practical uses. These uses go beyond gaming and into medical, technican-augmented reality, industrial design, and architecture, with the necessary underpinnings and software to make them all work. Virtual reality and 360 degree cameras were ubiquitous and integrated seamlessly into other products and entire ecosystems. Pretty soon, anyone who wants to will have a drone with a 360 degree camera following them around, seamlessly feeding that footage into a virtual reality setup that can then be edited on their phone. I suspect this is going to put pressure on more traditional camera makers such as GoPro. Takeaway: Virtual reality and 360 cameras have fully integrated into IoT ecosystems. This year’s drone fleet at CES was more intelligent, and more tailored, than any we’ve seen before. Many drones now have intelligent features that allow them to act on their own if necessary, and are designed for specific purposes. For example, there were fleets of drones that could swarm in flocks like ants or birds and perform tasks such as washing windows on a high floor. Other drones were able to independently fly surveillance patterns to inspect buildings or search for objects or individuals. Even drones designed to be flown remotely by a human were smart enough to hover and then land on their own if they lost contact with their controller. As with other technologies, drones have started specializing into particular market focus and applications. There was one to find fish underwater for fishermen. There were Star Wars drones constructed to look like craft from the movies; and drones to help with assisted living – to follow, assist, and monitor family members. 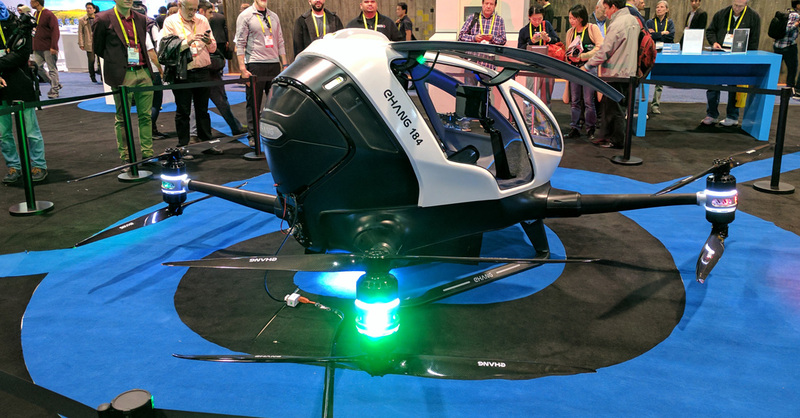 There was even a person-carrying air-taxi drone — the Ehang 184 Drone Helicopter, pictured above – basically a full size personal helicopter. I sat on a panel that judged the Hover Camera, a face-tracking drone you pull out of your pocket and unfold and it hovers, accepts a gestural command, and takes a picture. It’s intended to be a smaller, pocketable version of a selfie stick+camera. It really works, and is an excellent example of the trend toward designing drones to do specific applications, and do them well. Takeaway: The drone market is consolidating and making more intelligent, purpose-specific devices. 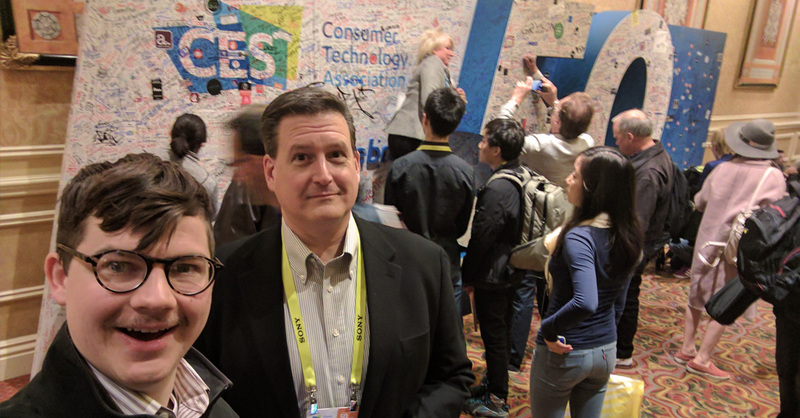 This year’s CES demonstrated that companies are successfully integrating the new sensors, imagers, and radio technologies of the last couple of years into innovative products. While independent wearables like the Fitbit haven’t taken off, sensors of all kinds have successfully integrated into the IoT.